Historian Seth Markle has written the latest must-have book on Black Power politics. His book is “required reading” because he explores one of Black Power’s (and, more generally, Black nationalism’s) core principles, Pan-Africanism, in a new and novel way. Markle follows Black Power adherents, in the 1960s and ‘70s, as they traveled to and were inspired by the African continent’s Pan-African lodestar of that time, Tanzania, and its legendary leader, Julius Nyerere, who championed Pan-Africanism. Markle does not blow a triumphant horn about these often-glorified subjects. Rather, he frames his book as a cautionary tale. He does not shy away from the many tensions within and limitations of African American and Caribbean encounters with Tanzanians. Markle drives home the complexities that abounded when diasporic Black Power activists ran headlong into Tanzanians striving to build an African socialist nation on the foundation of a one-party political system. Markle’s book offers a fascinating take on a dynamic era as he leads readers from the United States and Guyana to Ghana and South Africa in addition to East Africa. Markle has a lot of heavy lifting to do for he rightly assumes that North American readers may not know much Tanzanian history. His introduction provides a “quick and dirty” version of that land’s modern trajectory: Gaining independence from the British in 1961, Julius Nyerere became Tanzania’s first President. To this day, he remains known as Mwalimu, Baba Wa Taifa, which translates from the Kiswahili as “Teacher, Father of the Nation.” The still-loved Nyerere led his country, peacefully, to independence from the British and then guided it, peacefully, for twenty-five more years. He united more than one hundred ethnic groups by promoting Kiswahili as a national language in a country whose borders were drawn by German and British aristocrats with little regard for local peoples. Like other African leaders of the independence era, such as Ghana’s Kwame Nkrumah, Mwalimu tried to steer clear of the Cold War while advocating an indigenous variant of socialism. In 1967’s Arusha Declaration, Nyerere and the one-party state he led endorsed Ujamaa na Kujitegemea (Socialism and Self-Reliance). Ujamaa more literally translates as familyhood, i.e. a collective identity in opposition to both Western capitalism that pushed individualism over the collective and Soviet or Eastern communism that advocated “scientific socialism.” Tanzania also emerged as a key “frontline state,” providing moral, financial, and political support to groups seeking to liberate Angola, Mozambique, South Africa, South Rhodesia, and other countries; Tanzania also housed many thousands of freedom fighters and exiles from these various organizations, particularly its principal city, Dar es Salaam. Due to Nyerere’s bold domestic and foreign policies—Ujamaa and Pan-Africanism—Black radicals from across Africa and the diaspora celebrated Tanzania and flocked to Dar. Exiled Black Power activists like Stokely Carmichael and Robert F. Williams came as did intellectuals and political activists like Malcolm X and Walter Rodney. So, too, hundreds, perhaps thousands, of other Black radicals from across the diaspora. Markle explains that some Black radicals abandoned the United States in despair that real transformation would not occur there; others settled in Tanzania to bear witness to and assist in building African Socialism. Heady times indeed. Markle’s book is thematic with the first body chapter largely focusing on Malcolm X, who needs no introduction, and Abdulrahman Mohamed Babu, whose fascinating life and role in history will be unfamiliar to most. 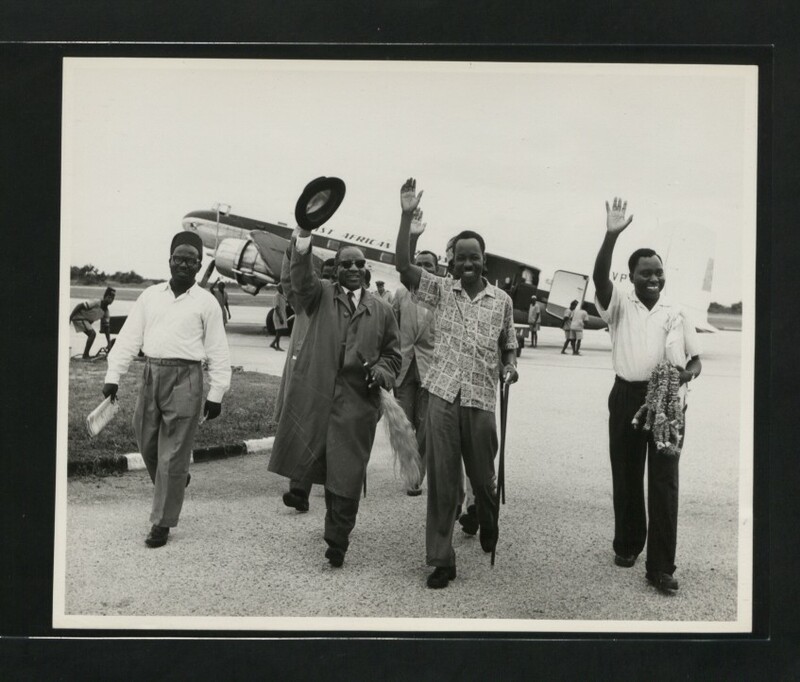 A close associate of both Malcolm and Nyerere, Babu proved a key Tanzanian connect for African Americans interested in exploring Africa’s leading Pan-African nation (after a military coup overthrew Nkrumah). Markle describes Malcolm’s friendship and collaboration with Babu, setting the bar for Black internationalism in the mid-1960s, just as legions of young African Americans explored Black Power ideals. 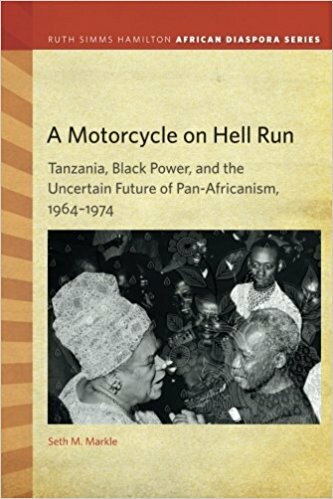 Readers who know plenty about African American student radicals will appreciate learning about young Tanzanians equally bold in advancing Pan-Africanism. Markle examines the University Students African Revolutionary Front at UDSM, the nation’s premier school of higher learning and a global hotbed of Pan-Africanism in the late 1960s and 1970s. Markle, however, teases out the contradictions of promoting a transnational ideology in a single nation-state. As Tanzanians and other African students at UDSM strove to press Pan-Africanism further, they ran into the stone wall of the party and state apparatus, exposing tensions that later split wide open during 6PAC. The magisterial chapter on Walter Rodney alone is worth the price of the book. Rodney, one of the most important and influential historians of Africa and its diaspora, spent five years teaching at UDSM while writing his magnum opus which further sealed the legend of Tanzania as the intellectual center of Pan-Africanism. Like other parts of the book, this chapter is tinged with tragedy—not just because Rodney later was murdered in his home country of Guyana but also as the radical promise of Tanzania ultimately went unfulfilled. Another chapter examines the Black-owned, Black nationalist publishing company, Drum and Spear Press. 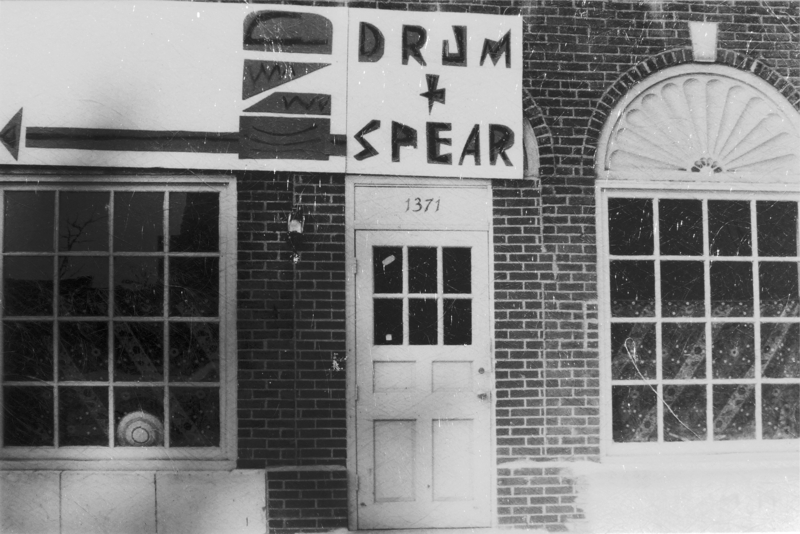 Founded in 1968, Drum and Spear rooted itself in Washington, DC’s black community—walking distance from Howard University. Markle explores how radical African Americans tried to promote Pan-Africanism among African Americans in the United States including by creating Black-centric books for children and adults. Simultaneously, these Black radicals partnered with Tanzanians to further the cause of Ujamaa albeit with limited success. The final chapter examines 6PAC, a nickname suggestive of Markle’s interest in hip hop. He focuses as much on the long and winding planning phase as the actual conference, which feels a bit rushed in this handling. The first such conference since the legendary Manchester gathering in 1945, Markle primarily argues that this event further exposed and deepened already existing contradictions. Namely, between Black Power advocates in the diaspora and Tanzanians (and other Africans) whose view of Pan-Africanism greatly differed. While Tanzanians respected and aided Black Power radicals, they also clashed over the necessity and value of nation-states; Nyerere and most other Africans, especially those in positions of political power, prioritized nation building that diasporic Blacks disdained. While diasporic conference planners needed Nyerere’s clout and resources to make the conference happen, many were frustrated with how 6PAC concluded which provided with no clear direction for the future. 6PAC is, to Markle, the logical conclusion of this story. Markle’s archival research in Tanzania, the United States, and Caribbean is impressive. He also conducted some interviews though his bibliography (curiously) does not reveal that fact. He could have more fully engaged some of the newer literature, including Russell Rickford’s 2016 We Are an African People: Independent Education, Black Power, and the Radical Imagination. Like all authors, Markle must make choices. For one, who among the panoply of Black radicals to investigate for those who traveled to Tanzania was a veritable “who’s who” of Pan-Africanists. For instance, the legendary Bob Moses, of SNCC fame, made Tanzania his home with his wife and family but does not even merit a mention. The conclusion admirably ties together a book that some might find confusing for it covers a lot of ground in just 190 pages. Connecting past and present, Markle briefly introduces Pete O’Neal, who founded the Black Panther chapter in Kansas City and has lived in Tanzania ever since fleeing the United States after what, very possibly, was a trumped-up federal gun law conviction in 1970. O’Neal and his wife, Charlotte, still run the United African Alliance Community Center and school, which they founded to serve the families around Imbaseni village in northern Tanzania. In a recent interview, he explained why they invested their lives in rural East Africa: “That’s what the Black Panther Party originally set out to do, and we are continuing that work here,” he said. “People remember the guns and rage. We were so much more than that…I’ve lived in a remote African village for the majority of my life…This land is my home now.” Africans in the Diaspora continue to be drawn to Tanzania, home of Ujamaa and Uhuru (freedom). Markle’s book masterfully explores this history though, despite his hip hop sensibilities, sometimes it reads more like a blues number. Very good read-up, I’ll have to study more on Tanzania now.